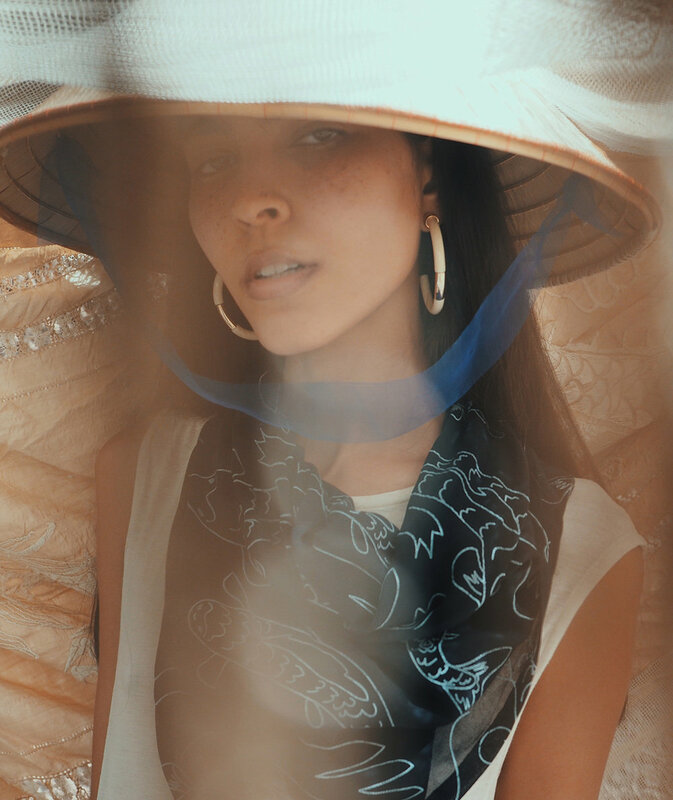 This is a collaboration between the fashion designer Marisa Fuentes Prado & textil designer Constanza Kramer, born in Chile, at home in Germany, passionate about traveling and loving the life as a freelance textile designer. Her fascination about traditional hand-made textiles makes her traveling the world where she lives and dives into ancient traditional techniques translating them into a modern textile language when back in Germany. The last two years she concentrated on Japanese textile arts, crafts and culture. In Tokyo, Kyoto and Okazaki she achieved deep insights in traditional printing and natural dyeing techniques like Katazome or Edo Sarasa or japanese natural dyes.